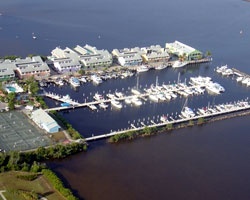 At *Fishermen's Village Resort Club* the resort's fully furnished vacation villas offer the finest in resort accommodations! Each unit sleeps up to six people and features a complete kitchen, loft and balcony. 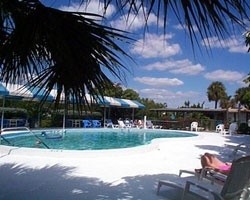 Guest amenities include scenic beach area, BBQ and picnic area, tennis courts, heated pool, bicycles, cable, laundry facilities, marine activities, live entertainment, special events, on-site covered shopping, dining and scenic views. RTU until 2023! Spring break week at a great price! All offers will be considered. 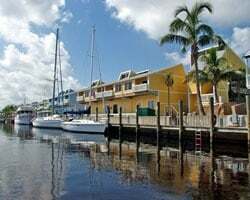 Prime week 51 in beautiful Punta Gorda! RTU until 2023! All offers will be considered! Peaceful waterside retreat in beautiful Florida! Buyer may receive a title fee credit, inquire for details! All offers will be considered! Stunning Florida retreat with breathtaking views! Buyer may receive a title fee credit, inquire for details!